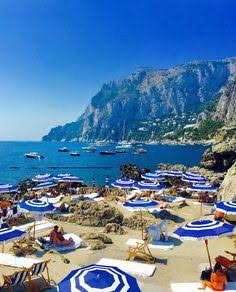 If you’ve ever travelled to Italy, it’s pretty likely you’ve heard of the stunning Amalfi Coast, a seaside oasis located in the Campania region. This beautiful coast covers over 30 miles and is decked out with gorgeous, sun-bleached homes piled up high along the steep seaside cliffs that look out into the impossibly clear waters of the Mediterranean Sea. The capital of the region is Naples – the infamous birthplace of Pizza – but there are countless tourist destinations in this stunning region where foreigners flock to every year for one of the absolute best escapes the world has to offer. 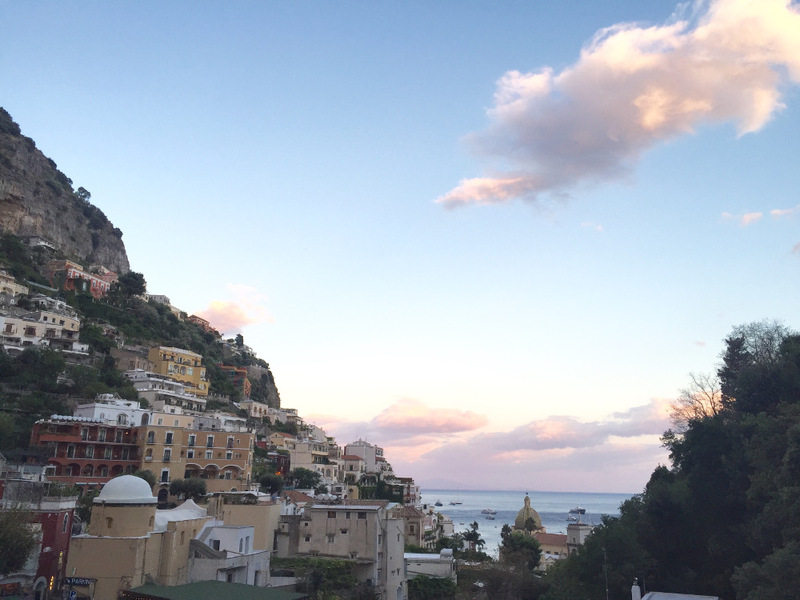 I recently went to the Amalfi Coast on a girls trip to Praiano, a small town between the slightly larger towns of Amalfi and Positano. This quaint little town has just over 2,000 residents – a welcome relief from the roughly 10 million people with whom I call London home. It was a friend of mine’s birthday, and so we went for sheer indulgence by renting out a small villa with a private garden and pool. The phrase “la dolce vita” never had more authenticity than during our stay at this beautiful villa! Even though we absolutely loved Praiano, we took advantage of the boat rentals and did a couple of day trips in search of even more breathtaking views. We first took a trip to Capri, a grotto and cliff-covered island where the Ancient Greeks chose to settle – and for good reason! The beauty of this island is almost magical, and it was here where we went to the famous La Fontelina beach club and restaurant for some delicious cocktails and food. La Fontelina’s slogan is “paradise on earth”, and when you step foot in the beach bar, you understand why. This beach club boasts one of the best beaches on the island, with lounge seating amidst the soft sand and surrounded by steep cliffs. 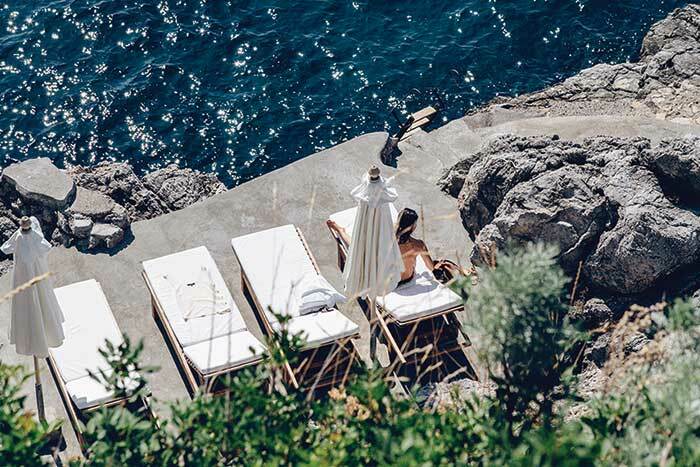 Another great find on the island of Capri is JK Place, a five-star hotel facing out towards the picturesque Gulf of Naples. It’s a Conde Nast Traveller recommended hotel, and it features a spa and pool bar along with some of the most incredible modern rooms and suites imaginable. The hotel is of course seaside but located very high above sea level to make sure to offer the absolute best views. We also took a day trip to nearby Positano, a really popular destination in the Amalfi coast for its array of colorful houses tumbling down the steep hills towards the sea, its great collection of high-end boutiques, and its steep, cobblestone streets. 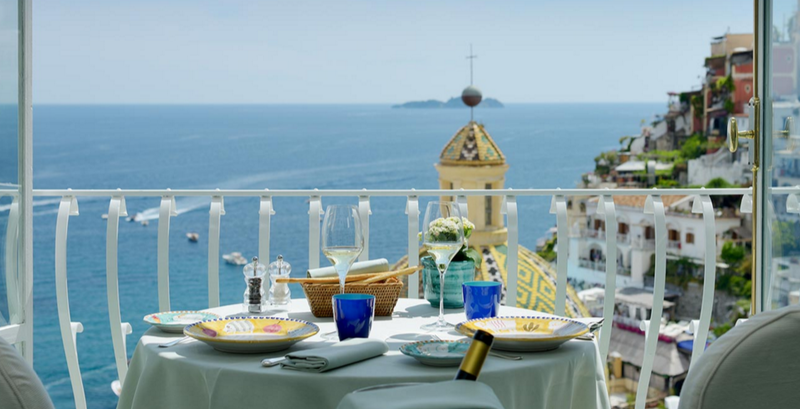 An absolute must in Positano if you’re looking for a truly outstanding dinner is at La Sponda, the Michelin-starred restaurant at the swanky Le Sirenuse Hotel. Looking out onto the Mediterranean Sea from Positano offers the most stunning views, but if that isn’t enough, they light 400 candles every night to set the ambience for a romantic dinner! We spent just three days in the beautiful Amalfi Coast, but I easily could have spent months just relaxing on the cliff-walled beaches reading good books, eating fresh pasta, and sipping on refreshing cocktails among friends – too bad our real lives awaited our prompt return!